KarVer around its opening in August 2017. (File). 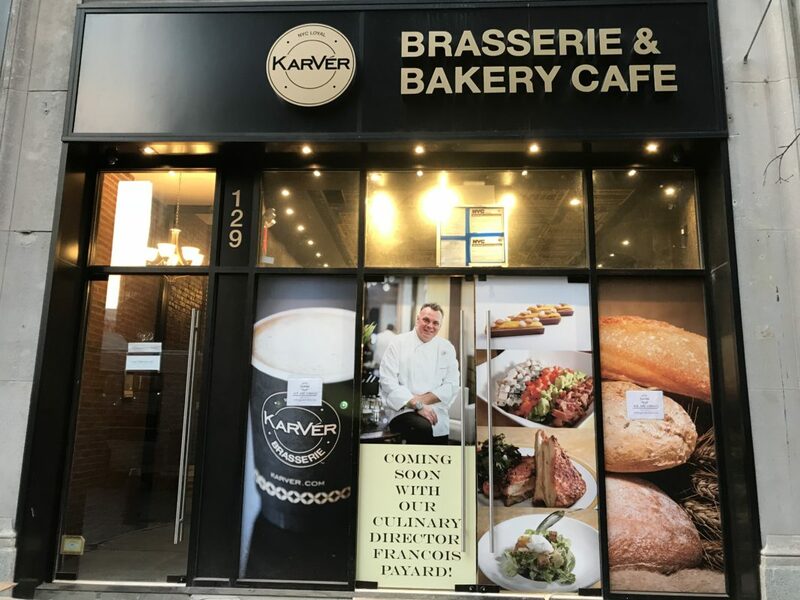 BROOKLYN – Just over a year after opening in Sheepshead Bay, KarVér Brasserie & Bakery Cafe has closed at that location and another on Livingston Street that just opened earlier this year. The owners say they will be back, but in a different form. The company made no mention of the Livingston Street location. Meanwhile, their website appears to no longer exist. KarVer’s Livingston Street Location earlier this year. (Pamela Wong/BKLYNER). People in the neighborhood said they noticed a “FOR SALE” sign on the Sheepshead Bay location one or two weeks ago. KarVér opened last year to some fanfare, including a piece in the New York Times. It already went on hiatus once this year, re-opening in February with famed chef Francois Payard at the helm. 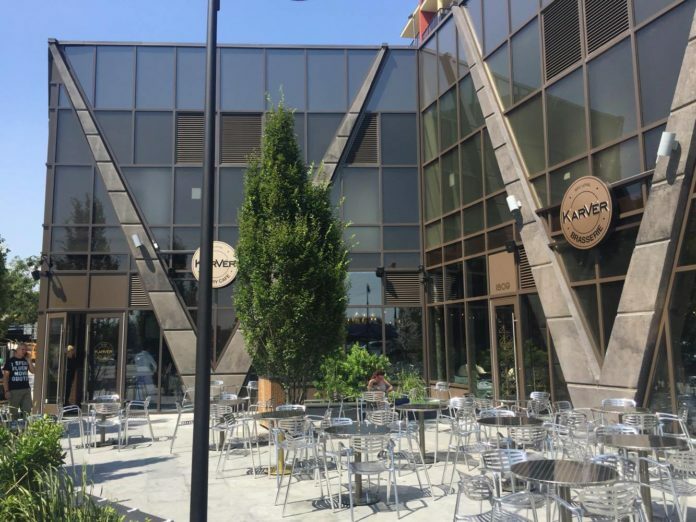 At the time the Sheepshead Bay location opened, KarVér’s then-CEO and Culinary Director Lisa Brefere told the Times there were plans to expand into Manhattan and beyond. Brefere told Bklyner that she left the company in October 2017. I live in the area and it is rather common place to see places open in SHB and the surrounding areas and close suddenly. 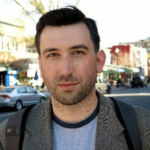 I often think it’s about economics, how many more food places can the area support … So I was actually glad to see your piece especially since the store has a sign that says Fulled Equipped Restaurant For Sale which is contrary to your reporting. Welcome to Brooklyn ?